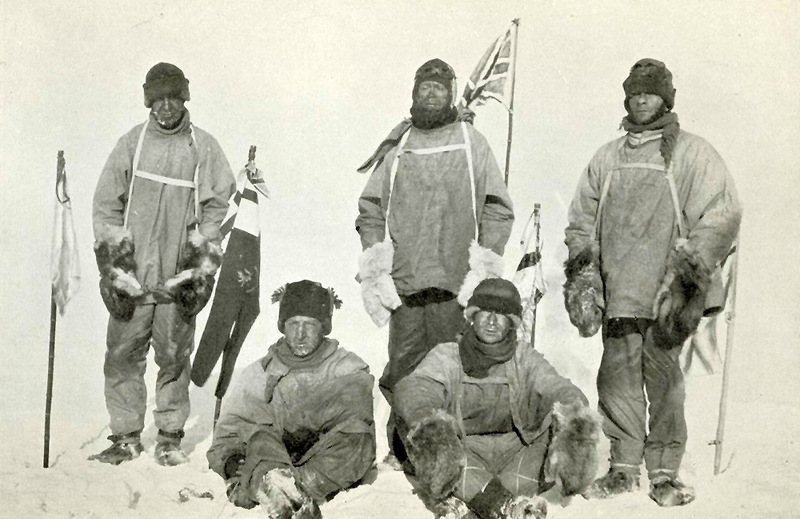 How did Captain Scott, Edgar Evans, Captain Oates, Birdie Bowers and Edward Wilson die on the way back from the South Pole? l to r: Oates, Bowers, Scott, Wilson, Evans. How Captain Scott and his team die? Scott's Journey: page 1 - preparations | page 2 - the polar journey | time-line and info graphic | crew of the Terra Nova | Why did Scott die? Captain Robert F. Scott, Lieutenant Henry R. Bowers, Petty Officer Edgar Evans, Captain L. E. G. Oates and Dr. E. A. Wilson reached the South Pole, but all died on the return journey in 1912 - what did they die of? Sixteen men, twenty three dogs, ten ponies, thirteen sledges and two motor sledges set off on the journey to be the first to reach the South Pole. The slowest, the motor sledges left on the 24th of October, the ponies on the 1st of November and dog teams on the 4th of November. 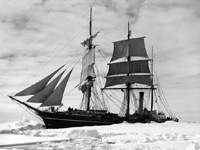 Some depots of food and supplies had already been laid along the route and most of the departing men were there to carry more food and provisions to aid the eventual planned party of 4 men to make the last leg to the pole alone and then return without further help. Those not going to the pole turned back at different points. 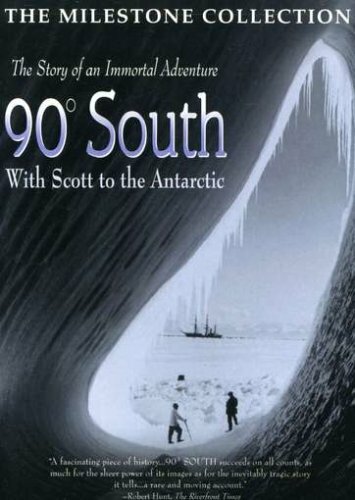 The journey from Hut Point to the Pole and back was 1,532 miles or 2,465 kilometers. 24th of October to the 4th of November 1911 - Leave for the Pole in 3 groups. 4th January 1912 - Final 5 continue to the pole with no further support. 17th January - Reach the South Pole. 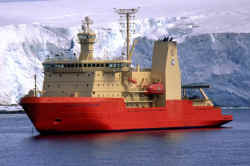 18th January - Begin return journey from the Pole. 17th February - Edgar Evans dies. 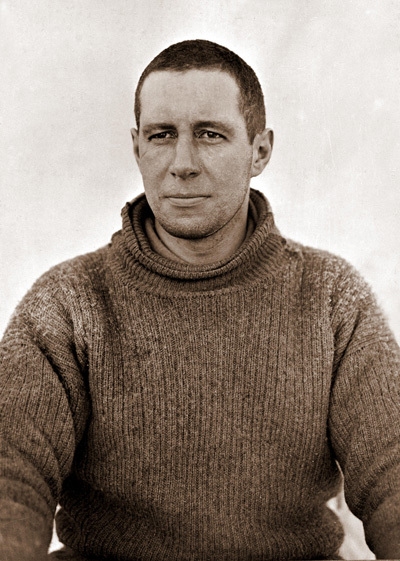 16th March - Captain Oates dies. 19th March - Final camp made, 11 miles from One Ton Depot. 23rd March - The last but one entry in Scott's diary, all three remaining men are alive on this date. 29th March - Last entry in Scott's diary, he is presumed to have been the last survivor and died on this date. The final cause of death in each case was hypothermia, getting to that point however was a long and slow process with a number of factors. 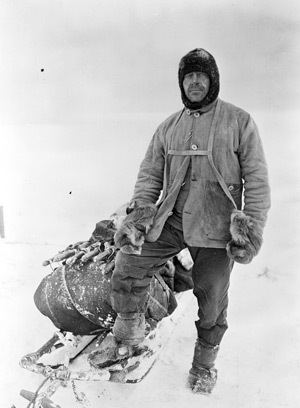 We now know that the amount of rations taken by Scott were inadequate to what they should have been for the extremely energy intensive activity of manhauling their sledges. 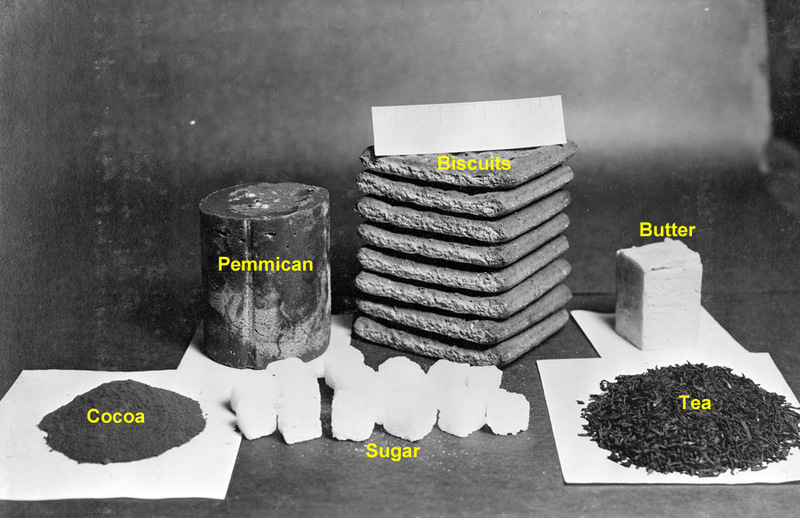 On the way to the pole, the rations amounted to 4,500 kcal per day and about 3,800 kcal per day on the way back, this is against an estimated requirement of 7,000 kcal per day, per man, or just 64% falling to 54% of the required amount. When energy intake from food is less than energy being expended the gap has to made up from bodily reserves. Firstly fat is lost which at the same time reduces the amount of insulation, so meaning that more energy is needed to maintain body temperature in cold conditions, if more energy continues to be expended than consumed, muscle begins to be broken down to provide metabolic energy, this loss of muscle leads to weakness and makes it more difficult to perform any kind of exercise. The weather was also against them with very cold temperatures making the snow fine with a "sandy" texture as Scott frequently describes it so making the sledge heavier to pull without any "glide" as might be expected from a slippery surface. The sheer cold also had a part to play. Lack of physical condition slowed the party down on the return journey and made them more susceptible to cold and frostbite. Eventually if there is not enough food to generate heat from within, the body temperature falls leading to hypothermia and ultimately death if the situation is not reversed. All dated quotations on this page are from Scott's diary. If this goes on and the weather holds we shall get our depot without trouble. I shall indeed be glad to get it on the sledge. We are getting more hungry, there is no doubt. The lunch meal is beginning to seem inadequate. We are pretty thin, especially Evans, but none of us are feeling worked out. I doubt if we could drag heavy loads, but we can keep going well with our light one. We talk of food a good deal more, and shall be glad to open out on it. 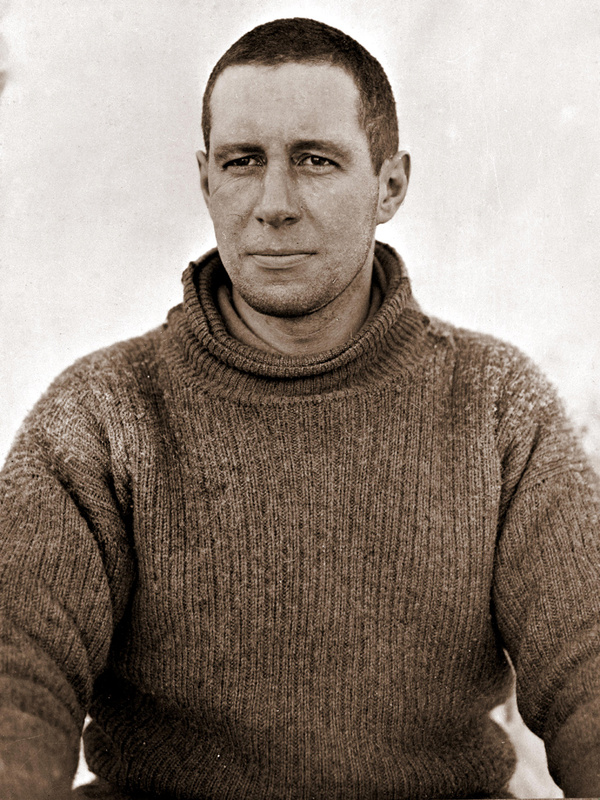 Scott and his began to deteriorate on the way to the Pole, by the time they were on the way back, the daily distances they were covering were decreasing steadily. We got away sharp at 8 and marched a solid 9 hours, and thus we have covered 14.5 miles (geo.) but, by Jove! it has been a grind. We did 4 1/2 miles this morning and are now 8 1/2 miles from the depot - a ridiculously small distance to feel in difficulties, yet on this surface we know we cannot equal half our old marches, and that for that effort we expend nearly double the energy. Know that 6 miles is about the limit of our endurance now, if we get no help from wind or surfaces. The mileage would have seemed ridiculously small on our outward journey. Frostbite occurs when the body restricts blood flow to a part of the body as it is losing too much heat too quickly, it is a way by which the body starts to make sacrifices of body parts to preserve life. It is cold damage that occurs when (initially) the skin falls below freezing point causing ice crystals to form inside live cells killing them in the process. If the area warms again, the skin swells and dark blisters form leading to a a hard black carapace. If the freezing is surface only the dead layer is lost in time showing new healthy skin growing underneath, this form of frostbite is very painful and is known as superficial frost bite. More serious frostbite affects deeper tissues such as muscle and bone beneath the skin. It nearly always leads to permanent damage sometimes including the need to amputate fingers and toes, even feet, hands and parts of the arm or leg. As the tissues are killed they become gangrenous, which itself can spread and cause more damage. As well as causing direct damage, frostbite can be very debilitating, restricting mobility and reducing the ability use the hands. A lack of food and hypothermia make frostbite more likely as the body rations its resources and tries to reduce heat loss. Evans and Oates in particular suffered from frostbite much earlier than the other men. I don't like the easy way in which Oates and Evans get frostbitten. Poor Oates got it again in the foot. I shudder to think what it will be like to-morrow. It is only with greatest pains rest of us keep off frostbites. The cold is intense, -40° at midday. My companions are unendingly cheerful, but we are all on the verge of serious frostbites.. This occurs when the core body temperature (the brain and torso containing the vital organs) falls from 37°C to 35°C or below. Initially the body will try to regain warmth by shivering, blood flow to the hands and feet and then arms and legs will be restricted to prevent further heat loss which results in clumsiness. The start of hypothermia is difficult to spot and may be strongly denied by the victim, sometimes hats, gloves and other clothing layers may be shed in a state of confusion. I was first to reach the poor man and shocked at his appearance; he was on his knees with clothing disarranged, hands uncovered and frostbitten, and a wild look in his eyes. Eventually the body takes final desperate steps to try and avoid death by slowing the heart beat and breathing, when the core reaches 28°C cardiac arrhythmias (irregular heartbeats) begin and by the time 20° is reached if not before, the heart will stop and death follows. The first of the group to die, he was the largest of the group and as they were all given the same rations each day, he lost weight faster than the others as his rations were a smaller amount of his needs than they were for smaller men. 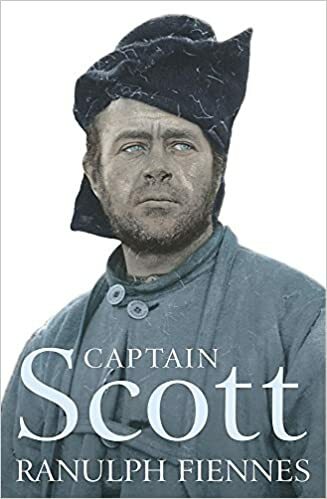 He was carrying a hand injury that he had concealed from Scott which became infected and wouldn't heal, this hand started to suffer from frostbite as did his nose which gave him great discomfort. 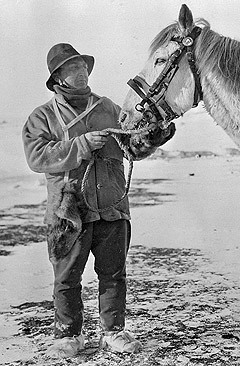 With his relative rations being lower than any of the other men, it made him more likely to suffer from frostbites as his body restricted peripheral circulation to maintain the core temperature. 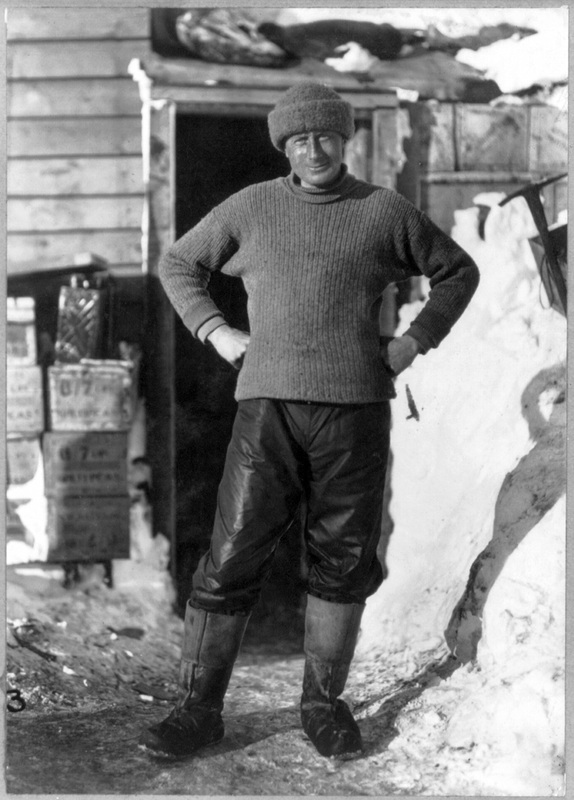 What brought about Evans end more quickly than that of the others was a probable head injury that he sustained during falls into a crevasses on descending the Beardmore Glacier. Just before lunch unexpectedly fell into crevasses, Evans and I together - a second fall for Evans, and I camped.... the party is not improving in condition, especially Evans, who is becoming rather dull and incapable. Edgar Evans succumbed to the cumulative effect of his physical and cold injuries on the 17th of February 1912. He started the day pulling the sledge but soon was walking alone and falling behind. By this time we were alarmed, and all four started back on ski. I was first to reach the poor man and shocked at his appearance; he was on his knees with clothing disarranged, hands uncovered and frostbitten, and a wild look in his eyes. Asked what was the matter, he replied with a slow speech that he didn't know, but thought he must have fainted. We got him on his feet, but after two or three steps he sank down again. He was brought to the lunch camp by sledge and placed inside the tent where he died shortly afterwards. Oates along with Evans suffered from frostbite more readily than the others. Oates had a war wound in his left leg which had left it an inch shorter than the right and walked with a limp, this was the first leg that gave him problems, it seems the old damage making him more susceptible to cold injury. He suffered from continual frostbite to his feet for much of the return journey that he concealed for as long as he could. Titus Oates disclosed his feet, the toes showing very bad indeed, evidently bitten by the late temperatures. The result is telling on all, but mainly on Oates, whose feet are in a wretched condition. One swelled up tremendously last night and he is very lame this morning. 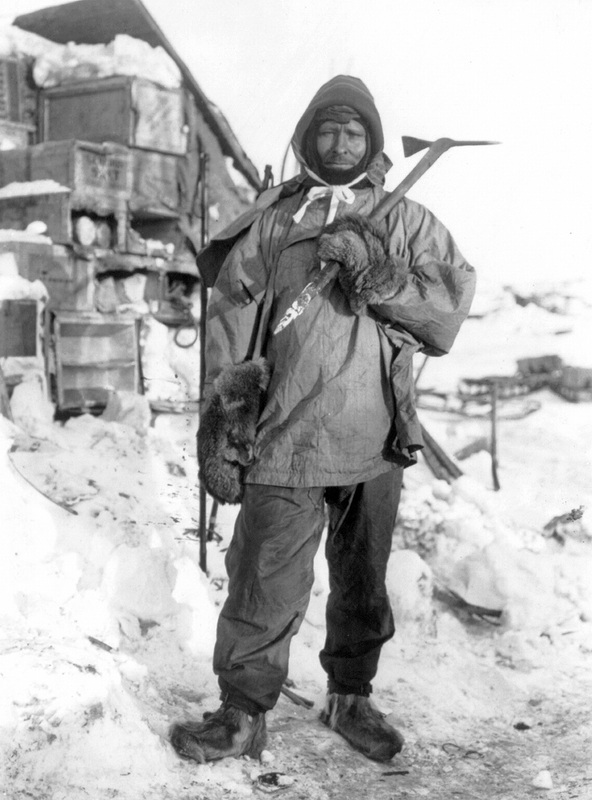 As time went on, Oates deteriorated to the point where he was not able to pull the sledge any more and it was apparent that he was slowing the whole party down, his hands also started to suffer from frostbite. By the 10th of March with his frostbites resulting in gangrene he started to ask what his chances of survival were. By mid March he asked to be left behind in his sleeping bag, the others encouraged him to go on as long as he could which he tried to do though with great difficulty and in obvious pain. He went out into the blizzard and we have not seen him since. Oates walked to his death with the most famous of all last words. His end will have come through hypothermia, his body was never found, probably hidden from view by drifted by snow somewhere on the great white plain of the Ross Ice Shelf to later become buried by snow and ice. Unfortunately his self-sacrifice to try and save his companions was to be unsuccessful. Like Evans and Oates, the remaining three men were weakened by a lack of food and arduous labour for several months. By the 24th of February this was being exacerbated by a lack of fuel for their cooking stove, meaning they couldn't have as many hot drinks and that their food was not as hot as previously. 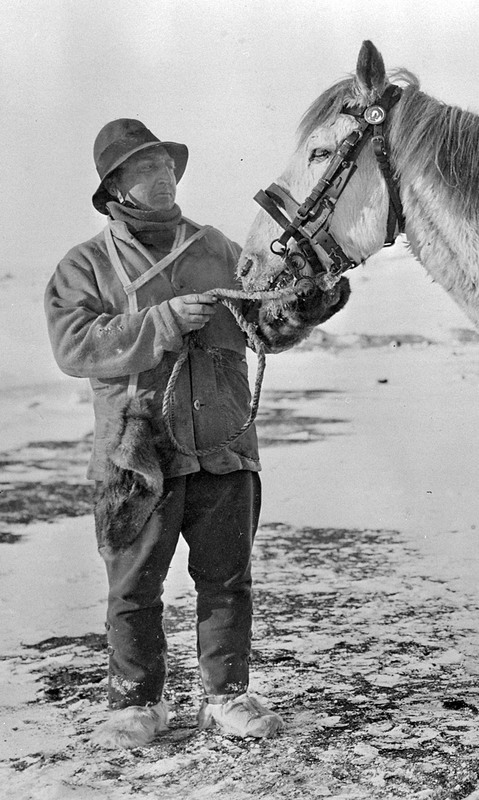 It wasn't simply about comfort as any extra heat taken in from food and drink meant less body heat needed to be generated from their already inadequate rations. Also, very importantly, it meant that they were becoming dehydrated. By the end of February temperatures were regularly falling down to -40°F/C (minus 40 is the cross-over point for the Fahrenheit and centigrade scales) so the fuel they did have had to raise the temperature of the snow/ice they were melting by 10-30 degrees more than it had previously. Dehydration reduces physical performance and places an increased physiological burden on the body, another difficulty for their already stressed metabolisms to deal with. My right foot has gone, nearly all the toes - two days ago I was proud possessor of best feet. All our feet are getting bad - Wilson's best, my right foot worst, left all right. There is no chance to nurse one's feet till we can get hot food into us. Amputation is the least I can hope for now, but will the trouble spread? That is the serious question. The tent was found later in the year in November by a group from the expedition hut where they had passed a very sombre winter knowing almost for certain that the pole party had all perished. Scott is thought to have been the last to die from the positions of the bodies in the tent. Death will have come from the combined effects of hypothermia and starvation.